Every year, U.S. government agencies waste undisclosed millions of tax dollars to abuse primates in secretive, crude, and ineffective lab experiments opposed by most Americans. Right now, thousands of primates in federal labs are being addicted to street drugs, crippled, exposed to toxins, drilled into and psychologically tormented. White Coat Waste Project recently convinced the U.S. Food and Drug Administration (FDA) to end $5.5 million nicotine addiction experiments on monkeys and retire the primates to a sanctuary. And in 2015, the federal government cut funding for all chimpanzee experimentation after it was deemed "unnecessary" and wasteful. Sadly, taxpayer-funded testing on other primates has continued. Now, help us end all government abuse of primates. 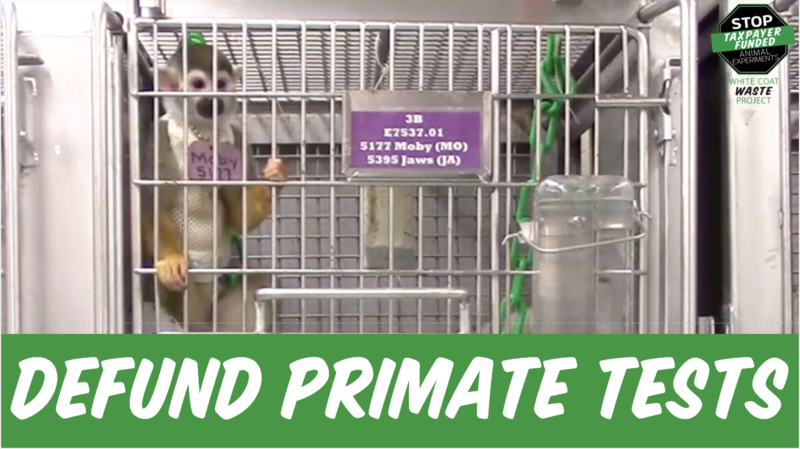 Tell Congress to de-fund wasteful and cruel primate experimentation in all federal agency labs!